A total number of 330 families have been displaced in Likachale village in the Area of Traditional Authority kaduya in Phalombe district due to floods. According to reports, the families were forced to go homeless after a river called Namphende went full following a heavy downpour that took place on February 9. School children are also reportedly to have been affected as the flood victims have found shelter at a government owned Phalombe primary school. “About 2000 pupils share the 11 classrooms that we have. With three given to the flood victims, it has resulted in some classes having lessons under trees, which is not sustainable at all as we are still in rainy season,” said Nelson Teputepu, the headteacher of the school. A further reports indicate that the country`s vice president Dr Saulos Chilima is expected to visit the victims tomorrow on Thursday. 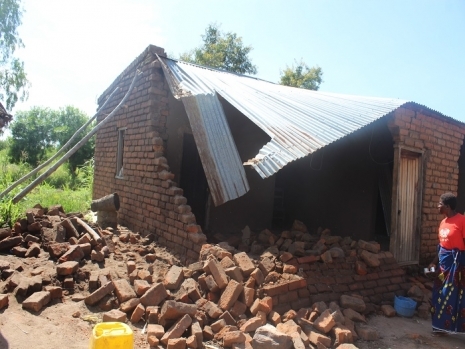 Just in February this year, Karonga district also witnessed floods which killed one person, displaced families and destroyed hectares of crops. Following that, the district`s officials called upon all people living around the flood prone areas to relocate to upper land.